Hakan Kurt of High-Tech Port says that Turkish defense companies have suffered around $2.5 billion in lost contracts due to Turkey's foreign policy. ANKARA — A senior Turkish industry official who coordinates efforts to win back Arabian Gulf markets does not hide his admiration for the country's foreign policy calculus, calling it "one with a character." But he admits that the policy has cost the local defense industry US $2.5 billion in lost contracts with neighboring Muslim countries. 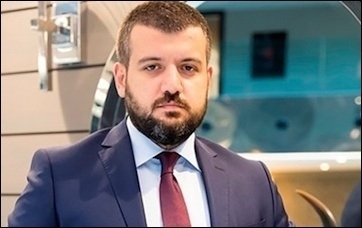 Hakan Kurt is general coordinator for High-Tech Port, which brings together 67 top Turkish defense companies, most from the aerospace, naval systems, information technology, missile systems, defense engineering and armored vehicles sectors. High-Tech Port companies will display their systems at an eponymous exhibition in Qatar Oct. 6-8, hoping to penetrate further into the lucrative Arabian Gulf markets. "Only in one shot, Roketsan lost a $700 million contract," Kurt said, declining to name the country from which the state-controlled missile maker would have won that contract. "Democracy or not, we are not responsible for the [monarchic] regimes in Gulf countries," he said. "For us, they represent lucrative future markets." Turkish companies that come under the corporate identity of High-Tech Port target exports to Gulf countries worth $5 billion in the next 10 years and $20 billion in the next 20 years. They hope Qatar will play the role of a bridge to export indigenous systems to the region. Prospective Gulf markets include Saudi Arabia and Kuwait, which are considered the most promising sources of new business for Turkish companies, and Qatar, Turkey's closest regional ally. Early this year Turkey and Qatar signed a comprehensive military accord that gives both countries the right to deploy soldiers in each other's territory and includes cooperation in military training, defense industry and joint military drills. Turkey's defense exports have risen from $600 million in 2008 $1.65 billion in 2014. Turkey's defense exports in 2014 rose 17.7 percent to an all-time high of $1.65 billion. They were at a mere $600 million in 2008. Since the immediate aftermath of the Arab Spring of 2010-12, Turkey has opted for an assertive regional foreign policy, trying to help build Muslim Brotherhood-backed or similar democratically elected Islamist governments in Arab countries. Ankara also downgraded in 2010 its diplomatic ties with former ally Israel. Many analysts observe that Turkey's regional policies are deeply pro-Muslim Brotherhood, anti-Israeli and sectarian, favoring Sunni groups against Shiite. "Many Arab countries today view Turkey as a liability rather than an asset despite common religion," said one London-based Middle East expert. "It may take Turkey several years to build meaningful alliances in the region." In Syria, Turkey strongly advocates the downfall of President Bashar al-Assad. The two neighbors do not have diplomatic relations. In Egypt, Turkey supports the ousted Muslim Brotherhood President Mohammad Morsi and does not recognize the legitimacy of incumbent President Abdel Fattah al-Sisi. The government does not agree that its policy in the region has had any effect on Turkish companies' contracts or lack thereof among Arab countries. "We don't see a direct link between our regional policy and defense sales," a Turkish Foreign Ministry official said. "Our defense and related exports [in general] have been on the rise before, during and after the Arab Spring." One senior Turkish defense company official said that Turkey's diplomatic rows with Egypt cost his company a $250 million contract in Egypt. Two of Turkey's Shiite-dominated neighbors, Iran and Iraq, view Turkey with deep suspicion because of its pro-Sunni sectarian policies. So does multi-religious Lebanon. In north Africa, both Tunisia's government and Libya's officially recognized government maintain distant relations with Turkey's ruling Islamist party, the Justice and Development Party. Similarly, Turkey's pro-Muslim Brotherhood policies have pushed Gulf countries Saudi Arabia, Bahrain and the United Arab Emirates (UAE) away from its industrial sphere of influence. In contrast, Qatar has remained Turkey's best regional ally since the beginning of the Arab Spring. "By a simple count, you can easily reach the conclusion that Turkey's foreign policy over the past five years has created deep fault lines with Iran, Iraq, Syria, Lebanon, Egypt, Tunisia, Israel, Saudi Arabia, Bahrain, the UAE and Yemen," one senior Turkish industry source said. "That makes a total of 11 countries, otherwise potentially a huge market for Turkey." But an Arab diplomat in Ankara thinks that some rapprochement, particularly with Saudi Arabia, which recently has softened its stance against the Muslim Brotherhood, may improve Turkish-Saudi ties. "Better ties with the Kingdom and other Gulf states would require Turkey to recalibrate its policies," he said.